As they start to gear up for the third South West Craft Beer Festival, the brewers at Bootleg have been having some fun in the brewery. Never ones to shy away from getting playful when it comes to their seasonal releases, which might feature fruit or spends time the note, this time around the inspiration seems to have come from Germany via the Caribbean. It's a Coconut Hefeweizen that does exactly what you would expect from the title. 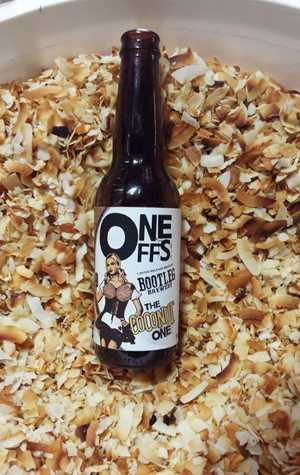 The beer started out as a traditional German style wheat beer, brewed with rolled oats, malted wheat and pale barley, before being infused with toasted coconut to create a unique, full-bodied beer. On tap at the brewery now and, according to a head brewer Michael Brookes, "It's a ripper!"